The “Legends on Tour” summit is coming back with a brand-new format. In this post you can get all the information you need to apply and become a Legend yourself. What is the “Legends on Tour” summit? The “Legends on Tour” is a player advocacy group, consisting of 8 members democratically elected by the players to meet the Travian: Legends Dev Team, discuss, advise and assist the team in the development of Travian: Legends. The “Legends on Tour” brings focused, structured feedback from the community to Travian: Legends Team and represents its views and interests as well as the one of the communities he/she represent. The first summit took place last year and here you can read about it. The role of a “Legends on Tour” member is to represent the player community in the development of the game. As an elected representative, the “Legends on Tour” will have clear communication paths with the Team and a chance to influence the development of Travian: Legends. The “Legends on Tour” player group will meet with the Team in Munich between 7th May and 11th May 2019. Here they will have the opportunity to take part in high-intensity work sessions together with the Dev Team. Every member will be able to request summit sessions with specific teams or on specific topics and depending on the schedule the team will try to accommodate these requests. The Travian: Legends team will cover the cost of flights, lodging and transfers within Germany for those attending “Legends on Tour” summit. The “Legends on Tour” coordinator/s will be available via email, and members of the advocacy group can request one-on-one calls if they have questions or concerns regarding the summit itself. The “Legends on Tour” players group will sign a Non-Disclosure Agreement so that Travian: Legends Dev team can engage them in discussions under the assumption they will remain private unless there is mutual agreement to share the contents of the discussion publicly. As a “Legends on Tour” delegate you always represent yourself and your community. At no point will you be asked or required to represent a Travian: Legends Dev viewpoint or be expected to conform to standpoints preferred by Travian: Legends Dev. As a member of the “Legends on Tour” players group, there are certain expectations regarding behavior. Members of the group are expected to engage in discussion with the Travian: Legends Team and other group members in a professional and constructive manner. Members of the group are expected to keep the ongoing discussion with the Travian: Legends Team private until such a time that there is a mutual agreement to share that discussion. Assume all details are private until otherwise agreed upon. If a member of the “Travian on Tour” players group is unsure if they can share a particular piece of information, they are responsible for asking the “Legends on Tour” coordinator and verifying if they may do so. Members of the group shall not use any information gained in confidence or before the general public to derive any personal benefit in the game, either directly or indirectly. The Travian: Legends Team selected 8 focus domains (Anglosphere, France, Germany, International COM, Russia, Italy, Hispano, and Turkey), and every player who thinks he/she can represent one or more of the communities mentioned above will be able to apply for a spot in the summit. The summit will take place in Munich between 7th May and 11th May 2019, so be sure to be available to travel on these dates before you send your application. Please keep in mind that this schedule might change according to the “Legends on Tour” players group requests and/or the Devs schedule. The participants will be kept informed during the whole process. If you think you are the perfect person to represent your community, you are available to travel during the dates of the event, and you speak English, feel free to fill the form here. The application will be open until 27th January. In the next 2 weeks, the Team will evaluate the application and pick up to 3 applications for each domain which fits with the purpose of the summit. The selection includes also a short voice interview with the possible candidates. On 11th February a public poll will be started for each domain where the community will be asked to vote for the perfect candidate to represent them during the summit. For this purpose, each candidate will be able to provide a brief introduction about himself/herself. By the end of February, the final list of participants will be publicly disclosed on our communication channels (forum, Facebook, etc). Don’t miss this chance, apply now! We are looking forward to meeting the 2019 “Legends on Tour” player group, submit your participation now, participate in a legendary gathering to make our game and our Community even better! In this thread, you can discuss the Legends on Tour 2019. The ones who go forward to the next step, will be contacted by us in the next week to set up time and date for a skype/discord chat. First of all we want to thank every applicant for your interest in the community and in the event. Overall, there were 228 submitted applications worldwide, which we - the CMs - evaluated together with the TG team. We had conversation with all possible candidates on Discord and there is a shortlist for Anglosphere community. • We checked whether the provided data (ex. forum account, game account) was correct. • We read the reason why this people think they can represent the community and we had to discard those who did not give a proper reason unless they are really visible members of the forum community. Things like "Because I am the best" is not really enough for application. • Since the whole event in Munich will be held in English we did have some voice chat on Discord with chosen candidates to check whether the people could handle a conversation in English and sadly we had to discard some of them. As we experienced last year, the pace of the conversation in Munich will be really fast, so we need people who can support this pace. More information about the poll will come soon. We are sorry for the delay, but due to the amount of candidates and the interviews this took a bit longer time than expected. as you might remember, we were supposed to start the voting phase for the participant to the Summit on Monday. Unfortunately, the selection process took much more than expected. We did have voice chats with around 30 people around the world and sometime scheduling these chats was complicated due to time zone and availability. Eventually, we found all the candidates for the voting phase and our UX department is now creating the surveys which will be used for the voting phase. This process requires a few days due to the workload of the department itself. What we can tell today is how the voting phase will proceed. On Thursday 14th February we will share with all of you the voting link, where you can vote for your favorite candidate to come to Munich. Every of you will be able to submit only one entry for each domain (there will be different survey links for each domain) until Monday, 18th of February 11:00 UTC. In the meantime, we have asked all candidates to write a short summary of who they are and what is their plan for the event (most of them updated the "About me" section of their profile with this purpose). You can also ask them questions directly or in the discussion thread. Thank you for your interest! We’re looking forward to meet your representatives in Munich! Votes will be accepted till Monday, February 18th, 2019, at 06:00 am GMT-5. To check the ending time in your local time, use e.g. this time converter. Post was edited 2 times, last by Stellamini ( Feb 13th 2019 ). Thank you for participating in Legends on Tour 2019. Both by applying to participate, and to all that has voted for the candidates. 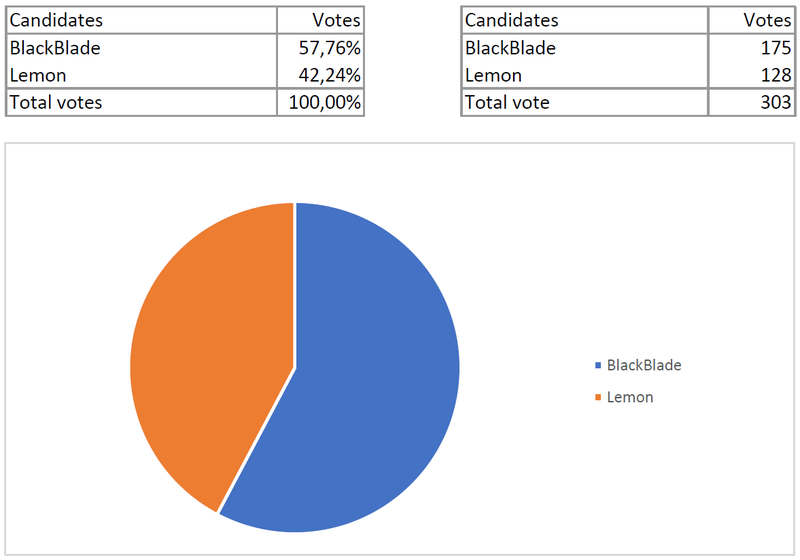 Our UX department and Developer-teams have just completed the analysis of the voices and eliminated those who were double, triple, all suspicious votes etc. A big thank you to our two finalists who stayed until the end and gave the community their presentations. BlackBlade , you will in the coming days receive an email from Travian Games with more information and the next steps in the process. In the meantime, we will invite you to start collecting information, questions and topics from the community as soon as possible.